Keep the rhythm! 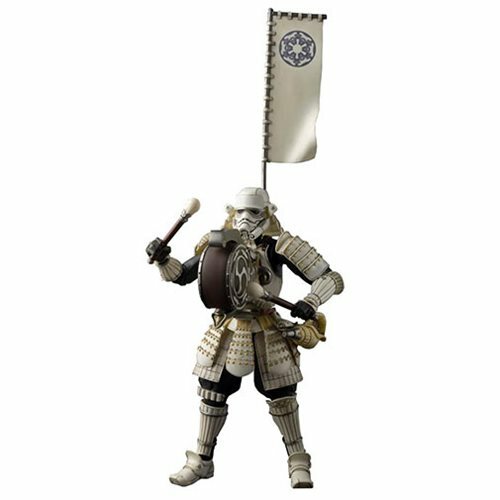 Hold the formation! 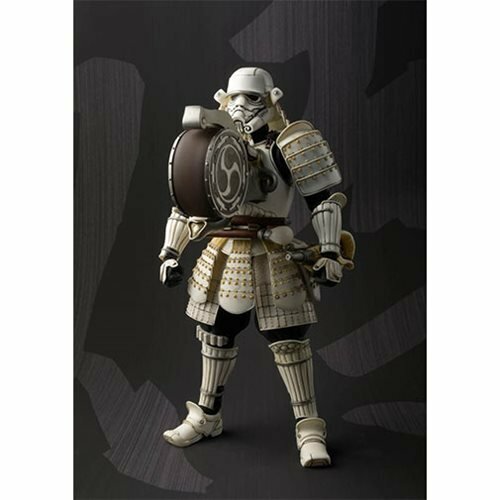 This 7-inch feudal-styled Stormtrooper carries a war drum ("taiko"). 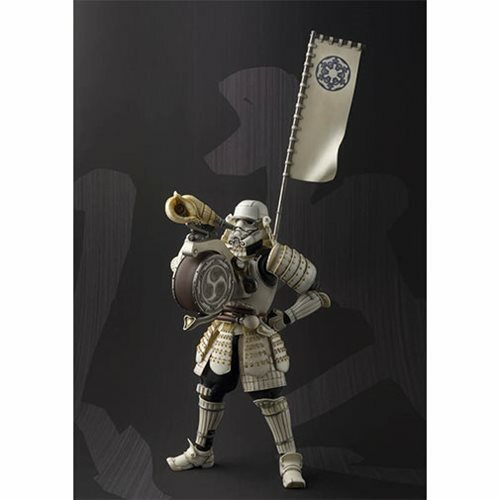 Includes 4 interchangeable hands, 2 drum sticks, a conch shell, and a flag set. 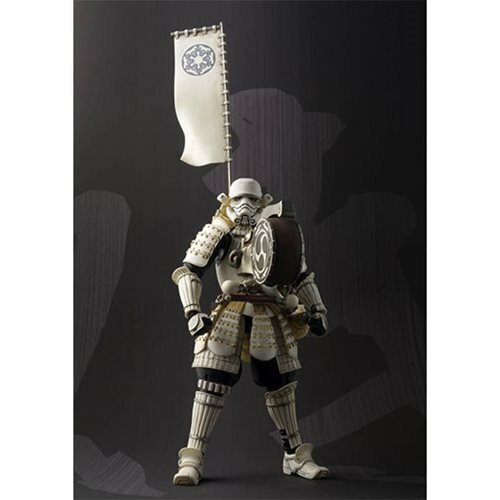 Let this action figure keep your Star Wars Movie Realization collection in line! 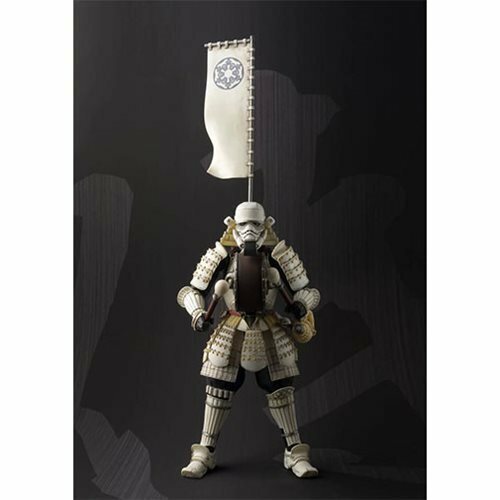 With his Empire banner flying high, this 7-inch feudal-styled Star Wars Taikoyaku Stormtrooper Action Figure joins the ranks of Samurai General Darth Vader's (sold separately) legion of Stormtroopers. 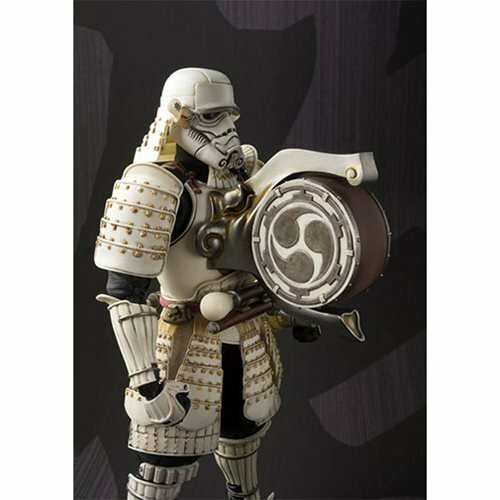 As the name suggests, Taiko Yaku is carrying a Japanese war drum ("taiko"). 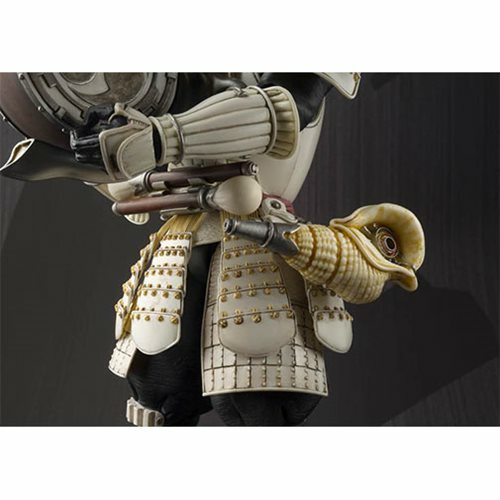 Fastened at his waist is a conch shell, ready to signal troops to attack at a moment's notice. 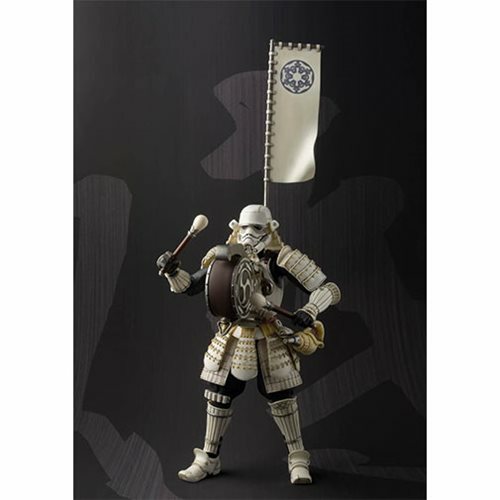 Traditionally, the Taiko Yaku was a vital military member who kept the rhythm and maintained the troop's formation, so let this seasoned Stormtrooper keep your Star Wars Movie Realization collection in line! 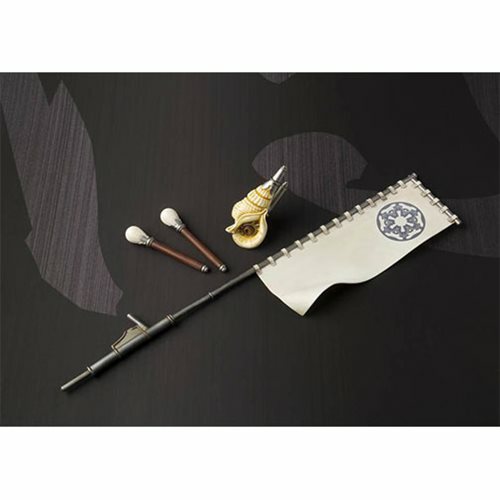 The set includes 4 interchangeable hands, 2 drum sticks, a conch shell, and a flag set. Ages 15 and up.